Cloud computing isn't not new anymore, but there's still a lot to negotiate when hammering out a cloud service contract, because most of the standard terms favor the vendor. Companies in every industry are transitioning to cloud environments because of the reliability and cost-effectiveness of cloud-based services. A question that I get asked all the time is, "What should a CIO look for when negotiating a cloud contract?" While cloud computing is not new anymore to most organizations, there is still a lot to negotiate when it comes to cloud service contracts, because most of the standard terms are in favor of the vendor. As is the case with other types of contracts, negotiating a cloud service contract is all about knowing what questions to ask so you know exactly what you're getting yourself into. There are countless questions you could have when you sign your next cloud service contract, but these here are my top five tips for negotiating a cloud contract. One of the most common and dangerous mistakes that businesses make when negotiating cloud contracts is not negotiating the terms of the service level agreements (SLA). SLAs outline the cloud provider's commitments on service availability and level of performance. They are highly negotiable, and they can affect the price of the services themselves. The terms of service level agreements should be spelled out as clearly as possible, so you know what you can expect from the cloud provider and what should be done if there are any serious problems. When I negotiate SLAs, I usually target uptime of 99.5% as a starting position and request monthly measurement of that metric. There are vendors that will measure themselves quarterly, which is a more lenient, but since I operate in the healthcare space, it is critical that I have the measurements calculated monthly. The 99.5% uptime level is what I target for the live environment, but let's not forget about the SLA on the backup and recovery side of the cloud environment. With every SLA clause in the contract, there must be a liquidated damages section highlighting the penalties if the vendor does not meet the terms of the SLA. Cloud computing may be all about being able to access your data via the internet, but that data still needs to be housed at a physical location. Certain countries have regulatory requirements that restrict having data reside in other countries, so this is critical if you have international clients and you must comply by their countries' regulatory requirements. While it's nice to have a long-term contract with a cloud service provider, you should be able to exit your contract if you need to without paying huge data migration fees. You must negotiate the export of your data in a predefined format (CSV, XLS, XML etc.) upon termination without any cost. You should also negotiate terms that say your cloud provider will assist in the providing the data export in the agreed-upon format in case you are not able to create the export easily. Basically, you want to avoid vendor lock-in, which can make it nearly impossible to get out of a contract. Many contracts require a notice of non-renewal within a certain period, so make sure you know how long that period is, just in case you need to opt out. How is data maintained for legal purposes? While there hasn't been a lot of negotiation regarding data retention for legally required purposes, it could still become an issue in the future. Many service providers will delete data shortly after a contract is terminated, usually within 30 days. In some cases, the data is deleted almost immediately. If your data needs to be available for legal purposes, you should make sure it can be retained for a longer period of time so you will have ample opportunity to retrieve it and back it up to an alternative source before it's gone. You must negotiate the right to access your data for at least 60 to 90 days post-termination at no cost or minimal cost while you transition to a different provider. Many cloud service providers are allowed to change their subscription pricing when it is time to renew. I have seen some vendors increase their subscription prices by as much as 15%. Don't assume that because you have a good relationship with the vendor and, say, there is an increase the volume and usage, that you will automatically get a reduction or the same pricing when it's time to renew. I would negotiate a maximum cap increase on the renewal and also include a tier discount approach if you increase your usage. This is a critical element, because once you transition to the cloud, you are basically locked in and making a change in vendors is difficult. 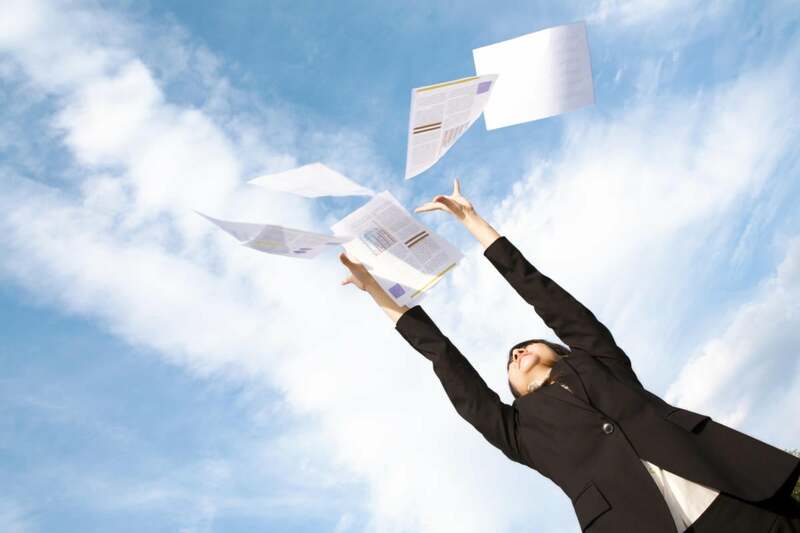 Those are my top five tips for cloud contract negotiations. What is your strategy for negotiating cloud contracts? I would like to hear your feedback. Drop me a comment below.